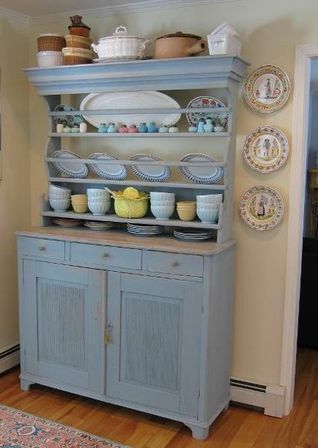 An antique kitchen hutch is a piece of furniture both functional and of great art value, it can add a cute charm to any kitchen. 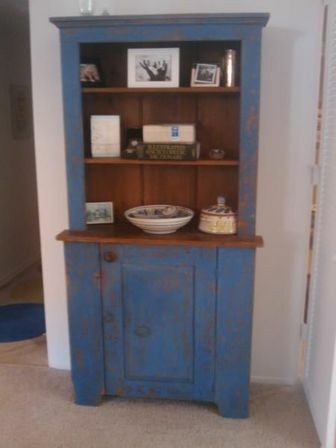 History of hutch leads its way from the chest used for storing different things. 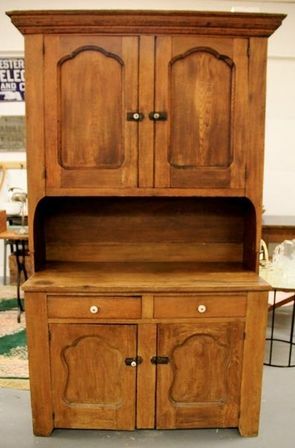 French were first ones who designed a chest in a way that resembles hutch. 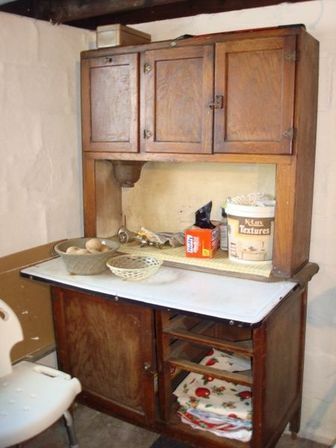 This antique piece of furniture can be very useful in any modern household. 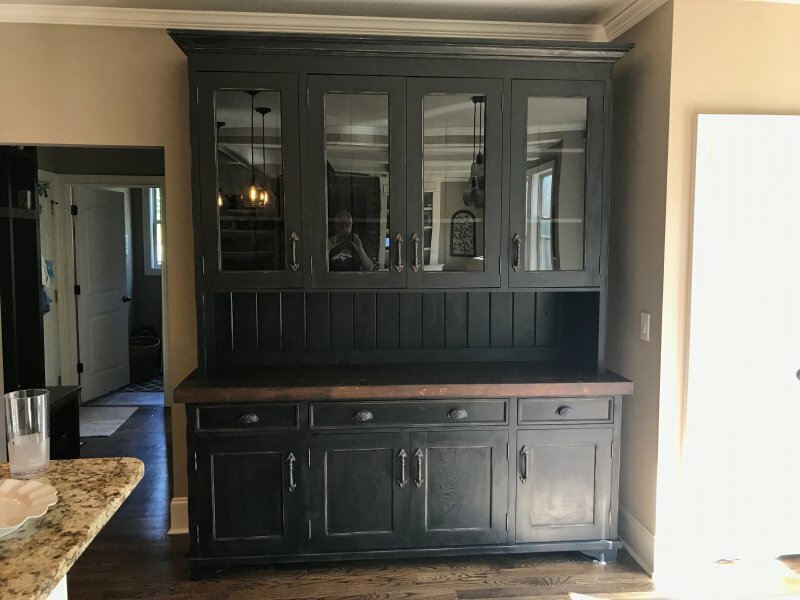 A hutch consists of tabletop, upper part featured open shelves and cabinets and lower part featured multiple cabinets and drawers. 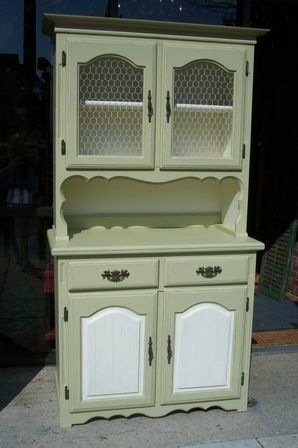 Often antique hutches are based on legs. Legs could be a sample of masterpiece themselves – curved, decorated with different ornaments or animal paws on the basement. 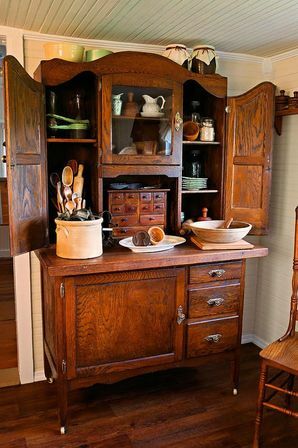 All three parts of a hutch could be used for storage utensils while open parts play decorative role as well. The inner space of its cabinets and drawers can be well organized by adding special racks and rails for keeping glasses and bottles. Such organizing elements could be easily bought in local supermarket or to be ordered to match size of the drawers precisely. 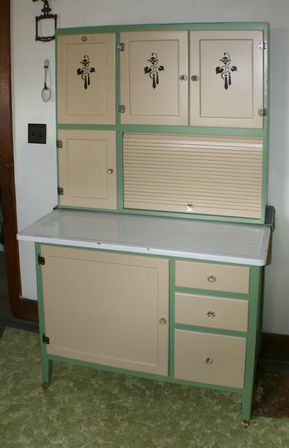 All drawers can store a great deal of plates and other kitchen essentials. 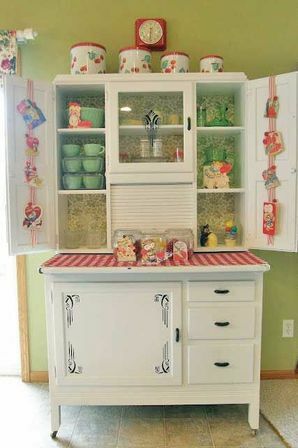 Another practical way to use a hutch is to keep in there grains, spaghetti, beans, flour, spices and oils and other products not requiring cold of refrigerator. Items which are to be kept in dark places (like olive oil) can be easily put in a lower part. 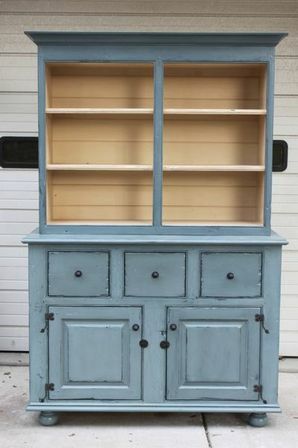 You can find special vintage jars or boxes for grains and cereals and expose them on the open shelves to enhance antique stile of a hutch. 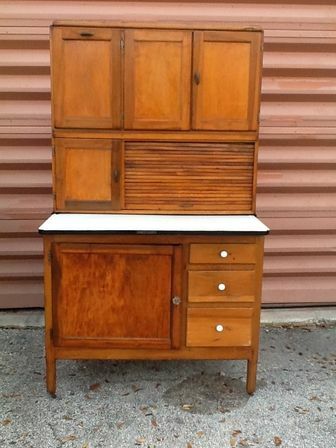 In a modern apartment this antique piece of furniture could successfully serve as a bar. Adjusting special racks in the lower part, the one could keep a good collection of spirits. 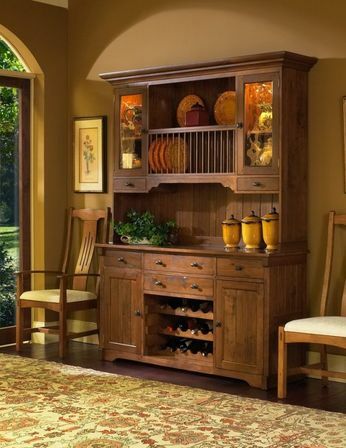 To enhance this role of a hutch, one or two empty old wine bottles could be placed on tabletop along with vintage bottle opener. 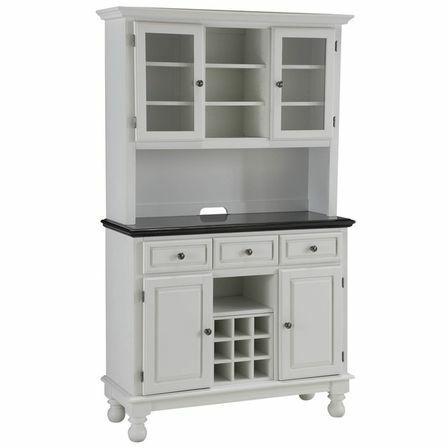 If needed, the upper part can be removed transforming a hutch into table or a working place for food preparation. 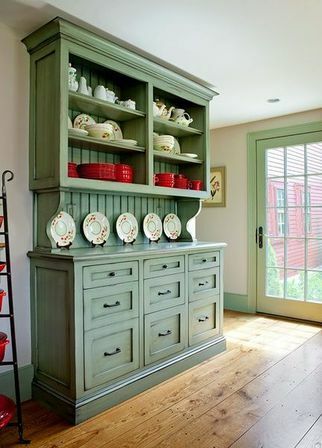 There are two main approaches to including an antique hutch in a kitchen interior. 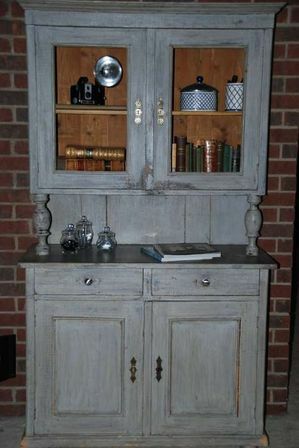 You can really fit this lovely detail in most any interior. 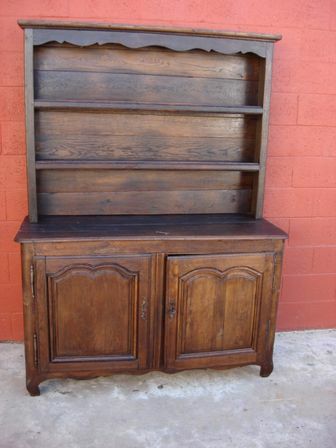 To do so, you need to determine the time period of this very antique hutch. Then scatter around the room several pictures, souvenirs, tableware, kitchen utensils or other objects which belong to the same era. To complete any style play with details. Place on tabletop beautiful tea china, vases with floral ornaments, candle sticks, vintage postcards will beautifully enhance Victorian, provence, vintage and shabby chic styles. For retro style such details as an old radio or television, posters in pin-up style would do great. Black and white photographs of your ancestors in vintage photo frames will bring that warm antique touch of an old family mansion. If you find crocheted and lace tablecloths handmade by grandmother, boldly put them on! 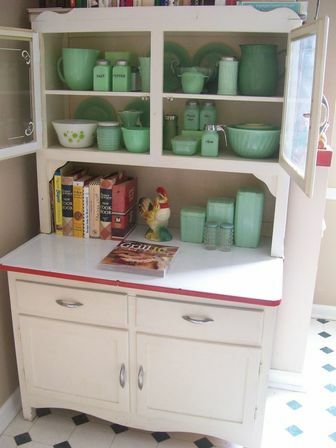 Old-fashioned glasses and notebooks, small porcelain puppets, kerosene and spirit lamps– all those could find its place on the tabletop of a hutch. One of the best features of vintage style is that there are no strict rules about decoration so everyone can easily customize it according to personal taste and budget. Another important characteristic of this style is plenty of details and accessories. 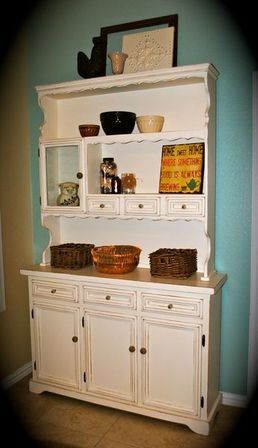 Such a cute chaos is especially typical for shabby chic. 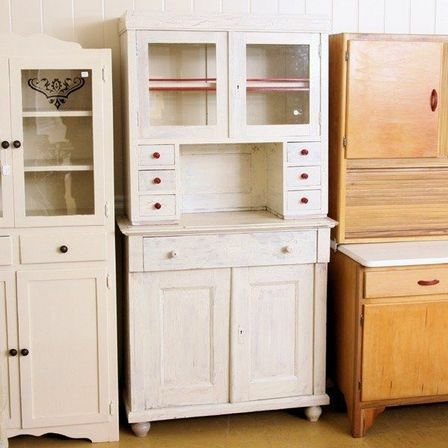 It is definitely a good idea to search through the cellar or the attic for such family vintage objects, some of such old treasures would get a new life on the shelves of antique hutch and will add exclusive hint to kitchen design. Yet other great design idea, which can be seen in many European homes on a frame of fireplace, is to turn a tabletop into seasonal installation. Items exposed replace each other as seasons go by, moving on from Christmas ornaments towards Easter bunnies and handmade eggs and further to faded flowers and autumn leaves. 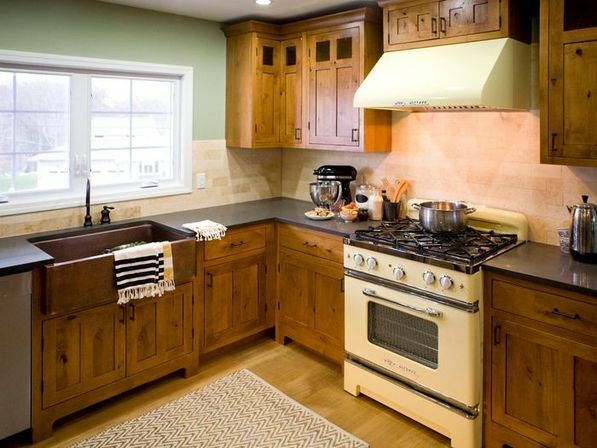 This change of scenery would help the kitchen look new and fresh all year round and makes a period till next renovation much longer. 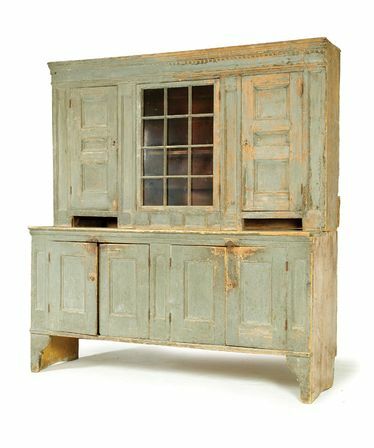 Antique hutches are usually made of high quality wood; its panels may be carved in ornaments. They may be coated with different colored paints. Most typical colors are white, beige, caramel, dusty pink, faded blue, green and grey. 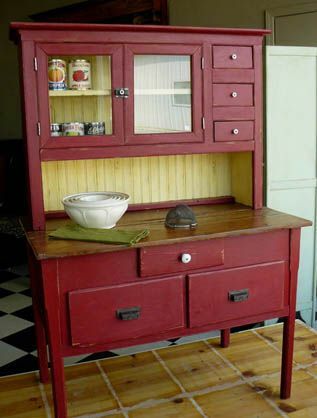 Style of mid-19th century welcomes splash of colors – blue, red and others – along with more laconic shape of furniture.